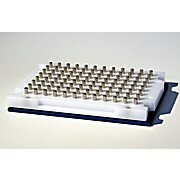 SBS-compliant ring magnet plate with extra strong ring magnets ideal for large volume separations. 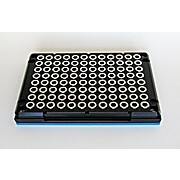 Compatible with many 96-well PCR plates, round bottom deep well and half deep well plates. 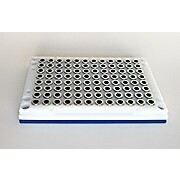 Magnet plate designed for 384-well PCR plates. 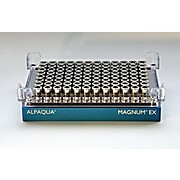 96 strong post magnets reliably pull paramagnetic beads out of solution and to the side of the wells where they will not be disturbed by pipetting tips entering the wells. 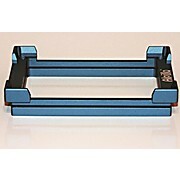 Robotic-friendly. 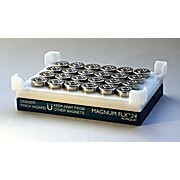 Ring magnet plate for quick and reliable separation up to 300 µl. 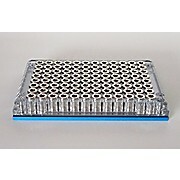 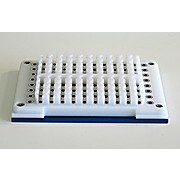 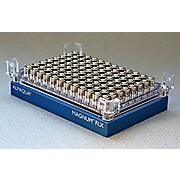 Compatible with many PCR plates, round bottom, and V-bottom plates.